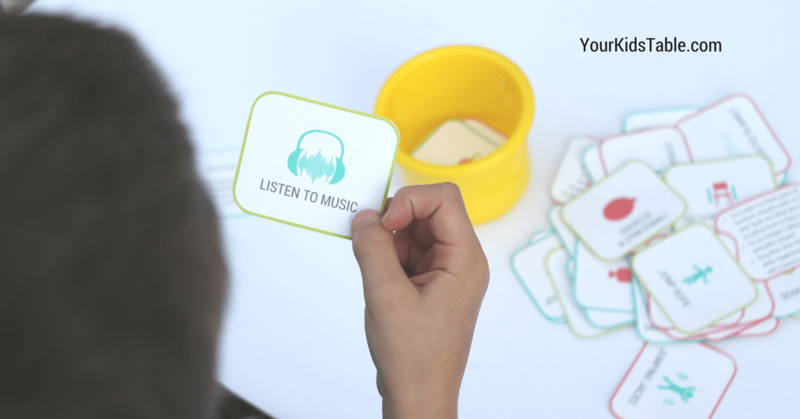 Sensory diet cards are an amazing tool to help kids improve their attention, communication, and more! Learn how to use them and print your own set. I walked into her classroom in the middle of a lesson, and she looked up at me and said, “It’s been a bad morning. Can you work some magic?” Immediately, I knew what she was asking of me. Peter was a child in her class that I had on my caseload as an occupational therapist, and he had a lot of sensory needs. Some days Peter had a very difficult time sitting still, paying attention, and completing his work. 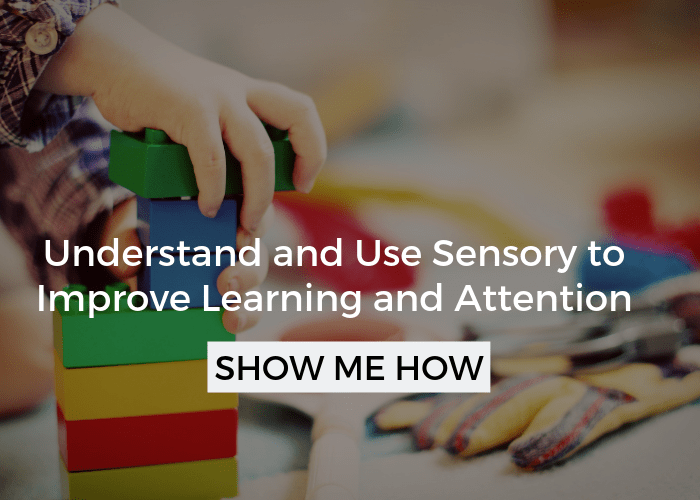 Many times over, his teacher had witnessed “the magic” of sensory activities and tools in his ability to focus and learn. I know that what was really happening wasn’t magic, although it is pretty incredible. I knew what Peter’s sensory needs were and what types of input his body often craved, but I really wanted Peter to start making this connection for himself. The truth is, he knew better than anyone what sensory input really helped him. In fact, all of the jumping up, wiggling on his seat, and tapping his toes was his attempt to get it. But, it was sort of futile because it wasn’t enough for him. He was trying to follow the rules of the classroom, and meet his sensory needs. That’s where I came in. I quickly ran back to my desk and grabbed a couple of cards I had with different sensory activities on them. I shuffled through them quickly, looking for a few that I thought might help Peter right then in the middle of class. I ran back, pulled him aside for a minute and laid out four cards: sit on a ball, chew gum (this was allowed), hold a fidget, or use a weighted lap pad. Peter was becoming familiar with the sensory diet cards and immediately choose to sit on a ball. We quickly got him set up (he knew the rules around sitting on the ball, which did initially take some time) and after a few minutes, he was quietly paying attention and appropriately participating. His teacher looked up as I stepped back out of class and mouthed, “thank you”. 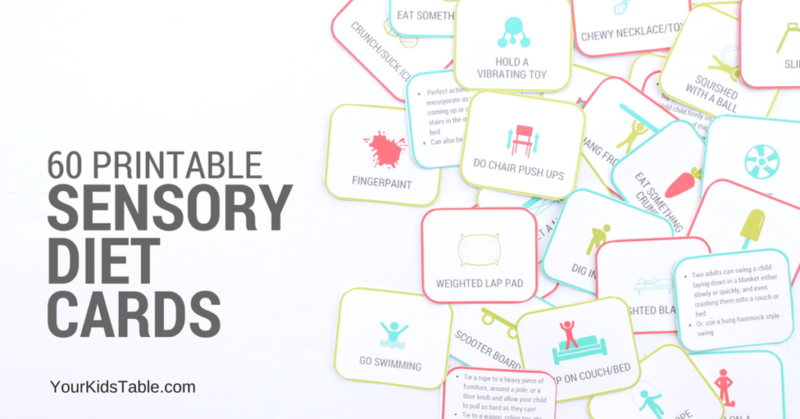 Sensory diet cards can be an amazing tool to help kids identify what’s going to be most helpful for them when their sensory needs seem to be bubbling over, whether that’s in the classroom, when it’s time to transition to another activity at home, or when they’re literally climbing the furniture. * This is a true story from some years ago, Peter’s name and some aspects of this story have been changed to protect privacy. What are Sensory Diet Cards? Sensory diet cards are simply a variety of sensory activities and/or tools (like weighted lap pads, vibrating toothbrushes, etc.) that are listed either in words or pictures on a card that can be held in the hand. Each card contains one activity or item. They become “sensory diet cards” when you use them to help with your child’s sensory needs either before they arise or as needed. Head over to What is a Sensory Diet to learn more. As in the story above, the idea is to give a child a few cards that you think they will respond to and what’s appropriate at the time and place. For instance, your child may love jumping on a large trampoline in the yard, but if it’s thunder storming, that’s obviously not an option. It’s also very important to let children select which card they’d like to use from a smaller selection of 2-5 cards that you’ve narrowed down. If it’s obvious that they need to jump, run, or climb there are multiple cards you can give as an option to accomplish the same need. 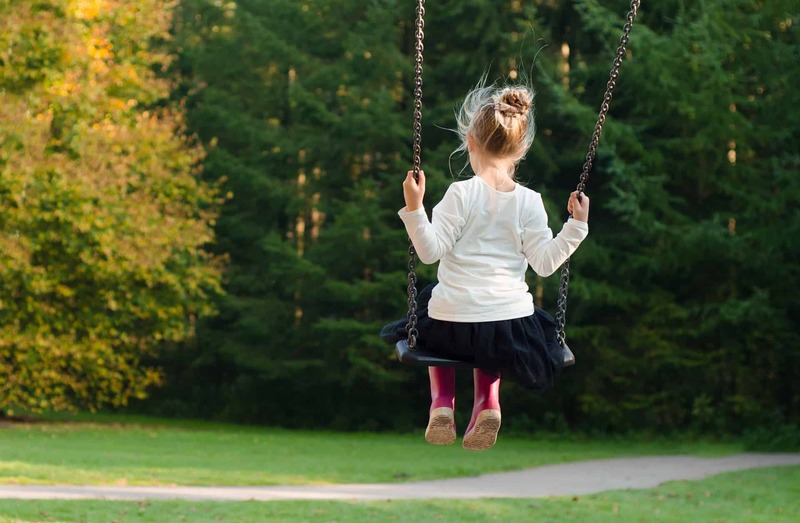 Allowing a child to select which sensory card they are going to use, first and foremost, gives them some ownership in what they need at any given moment. Ultimately, sometimes only weeks later, a child will start to advocate what they need before they are even given a choice. They may voice this by simply saying, “Is it okay if I jump on the couch, I feel like my body needs it?” Or, they may go to where the cards are located and select one without any prompting! This is definitely what we want! 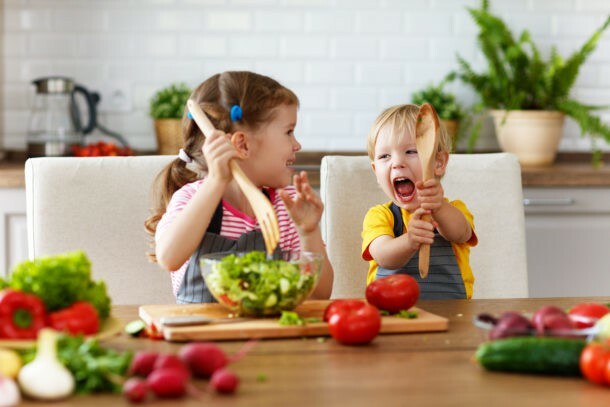 Not only does that make the whole sensory diet thing manageable for us parents, but our kids are learning more about their needs and are self-regulating. And, they are making wise choices about how to do it. Instead of climbing the dresser (because that’s not on a card), they choose climbing on the swing set or pulling on a rope to get their sensory needs met. This is the essence of a sensory diet, the cards allow an easy means to putting it into practice. 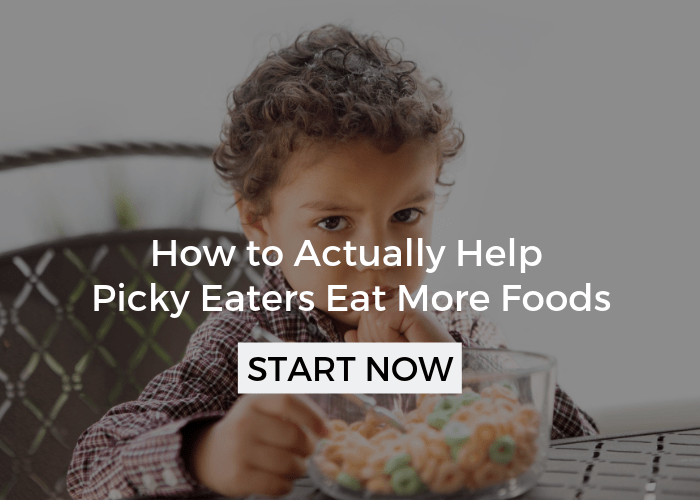 Even the youngest of children will eventually walk up to the fridge and pull off a sensory diet card that’s been turned into magnet for easy use. 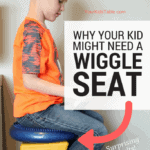 But, the sensory diet activities may change day-to-day, sometimes our kids (or us) can’t think of ideas quickly, and having sensory diet cards with a variety of options quick at hand make a huge difference. 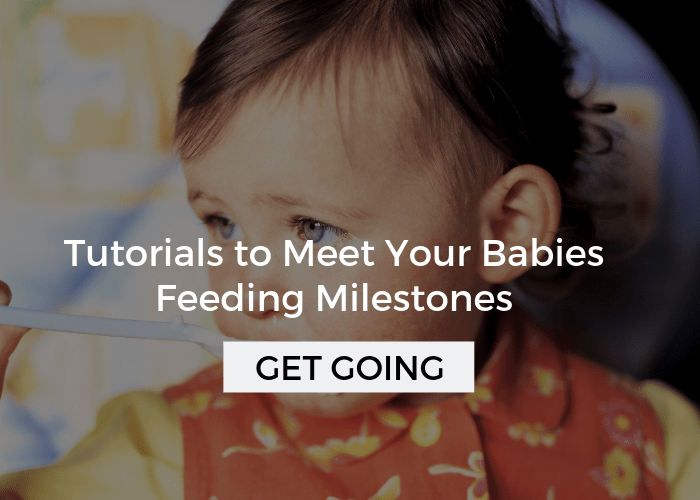 Head over to 100+ Sensory Diet Activities to get a ton of ideas and inspiration. Once you have a set of cards, either that you’ve created by selecting a wide variety of sensory activities and writing or drawing them on index cards, or you’ve snagged my printable sensory diet cards version, you’ll want to have them somewhere handy. Offer whenever the need arises. This will vary from day to day. Some days you may offer 3 different times, other’s it isn’t needed once. For younger children or one’s with special needs, offer just two cards at a time. Lay the cards out flat in front of them. Point to each card and simply say, “Your body looks like it needs some help. Do you want to use the swing (point to the card) or the scooter board (point to that card. )” In the beginning, you may have to help your child do or use whatever they choose. 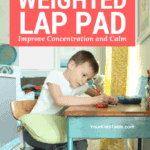 Older kids will be able to complete many activities on their own. Choose cards that work in that moment. If getting the scooter board out is going to be a distraction to another child at that moment, choose something else to place in front of them. For older kids, and those used to the cards, you can use up to 4 to 5 choices at a time. 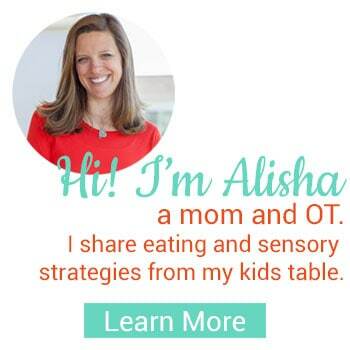 Make your sensory diet cards work for your family. Make or get a large set and have them cut out and set up in a basket, jar, or bucket. If you’d like, you can even add velcro or magents to the back so they are easily accessible and visible at all times on the fridge or on a velcro strip. This is especially helpful if you want to encourage your child to use them independently, or if your child is nonverbal. If that’s the case, they can simple pull off a card and bring it to you. 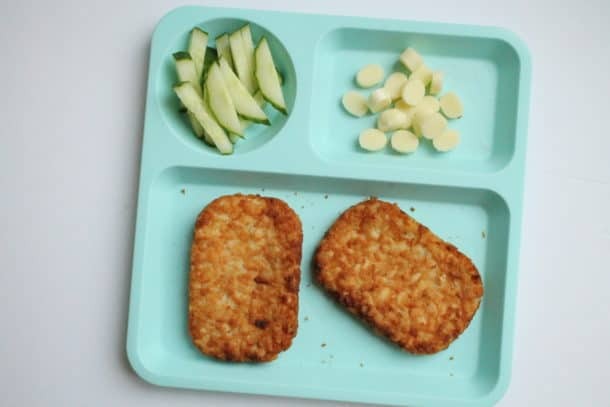 Having simple pictures on the sensory diet activities on the card is very important so that children that are non-verbal or aren’t reading yet can relate to what they’re choosing. I’ve pulled together the most powerful, beneficial, and easy sensory diet activities and created printable sensory diet cards. My sensory diet cards include an option to print out tips and ideas on the back side of the card. 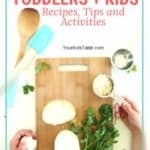 These tips are super helpful for parents! This printable PDF pack includes 60 sensory diet cards you can print at home, tips on the back, an instruction sheet, resource guide, and a how-to video with bonus sensory diet information. 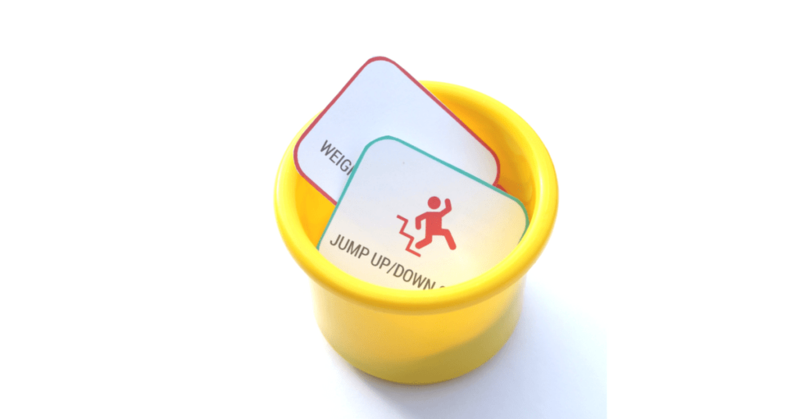 If you are therapist, teacher, or business and would like a professional licence to print out and distribute multiple sets of sensory diet cards click here. 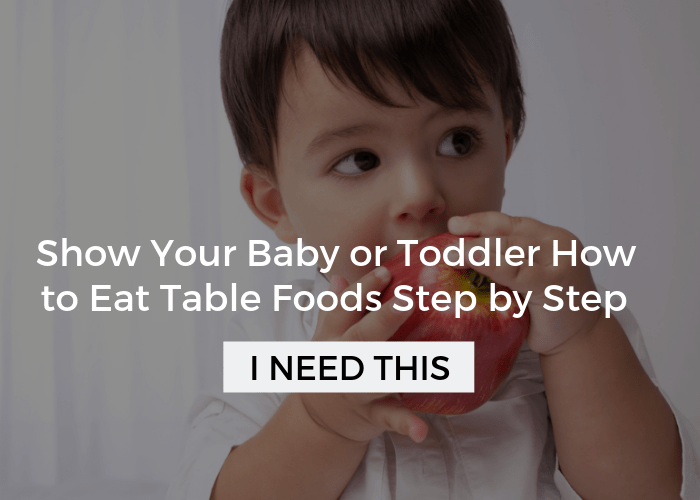 Save this to your parenting or sensory board so you can find it again quickly! Hover over any image in the post or pin it here.